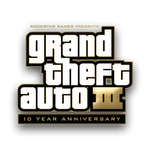 Rockstar have released a minor update to GTA III: 10th Anniversary Edition for iOS. The update is said to offer stability improvements thanks to some optimised memory usage, noticeable when running on the iPad 1 and iPhone 4. It also includes "various bug fixes", although Rockstar have chosen not to elaborate on what exactly has been fixed. Let us know in the comments if this fixes problems you were having with the game on your device! Check for updates to your apps on your device or through iTunes to download. First of all, we'd like to again thank you and everyone out there for the amazing response to the debut Grand Theft Auto V trailer. We know that there are a ton of questions you all have about the game, including release date and lots else. Right now, we are very hard at work on the game and are excited as well to show and tell you more as development progresses - expect that we'll be talking much more about GTAV starting at some point in a few months' time. Please hang tight until then and thank you all for your patience and support! Some of you will probably be disappointed to hear that Rockstar are going to be quiet on the GTA V front for another few months. But it makes perfect sense. Rockstar will be using the time between now and the end of May to promote Max Payne 3. As soon as that's released Rockstar can dive straight back into GTA mode and feed our ferocious appetites. One more thing, with this information we can finally lay the tired old 2405 theory to bed. Hooray! As for the second question, Rockstar once again confirm that GTA V is set just in Los Santos, but will include "surrounding hills, countryside and beaches." A fairly popular theory at the moment is that Rockstar could release additional cities as DLC, although the feasibility of this is somewhat questionable, not least because of their size. There were no questions or comments on that aspect of it, so theories regarding this are still up in the air for now. If you've got any thoughts on the game feel free to discuss them with others in our forums. The beginning of another month brings about the beginning of something new here at The GTA Place; the launch of our dedicated mobile website. We've seen a huge increase in mobile traffic over the last 3 months, and over 25,000 of you now browse the site from your mobile devices every month. We think a lot of you will be pleased about this development. The website has been tested on many different devices and smartphones including iPhones, Android phones, BlackBerrys, and Windows Phone. It's will even work on many old WAP-enabled "dumbphones". If you want to see it in action on your device, just head on over to m.thegtaplace.com. Or just go to the normal site, you'll be redirected automatically but we don't force this, you'll always have the option to go back to the full desktop website if you wish. If you spot any bugs or want to suggest any improvements we can make, let us know in the comments. If it's a bug you're reporting please let us know your device and browser so we can look into it in more detail.